Magento employs the MySQL/MariaDB relational database management system, the PHP programming language, and elements of the Zend Framework. It applies the conventions of object-oriented programming and model-view-controller architecture. Magento also uses the entity–attribute–value model to store data. 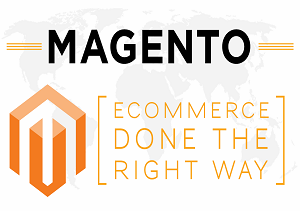 Magento is an open source e-commerce platform that besides having rich features, offers users unparalleled flexibility to manage the content, looks and functionality of their eCommerce store. 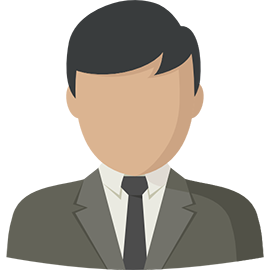 Moreover, it offers a spontaneous administration interface that includes a robust marketing, search engine optimization and catalogue-management tools to give merchants the power to create sites customized as per their unique business requirements. Magento Go is a cloud-based eCommerce solution, which also includes web hosting by Magento Inc. This was launched in February 2011 in order to support small businesses as it has no need for software installation. Magento Go still has built-in modules and can add Magento extensions for more functionality, but is also the least customizable platform. The latest version is 1.1.2.3 which was released on March 28, 2014. On July 1, 2014, Magento Inc. announced that they would be shutting down the Magento Go platform on February 1, 2015. Magento Enterprise Edition is derived from the Magento Community Edition and has the same core files. Unlike Community Edition, this is not free, but has more features and functionality. This edition is designed for large businesses that require technical support with installation, usage, configuration, and troubleshooting. Although Magento Enterprise has annual maintenance fees, neither Community nor Enterprise Editions include hosting. The Magento team develops Enterprise Edition by cooperating with users and third parties. The latest version is 1.14.0.1 which was released on May 13, 2014. Magento officially started development in early 2007.Seven months later, on August 31, 2007, the first public beta version was released.Varien, the company owning Magento, formerly worked with osCommerce. It had originally planned to fork osCommerce but later decided to rewrite it as Magento.In February 2011, eBay announced it had made an investment in Magento in 2010, worth a 49% ownership share of the company. Magento Community Edition is an open-source content-management system. Fitted with bundle of features, anyone can modify the core system of Community version.Developers can implement the core files and extend its functionality by adding new plug-in modules provided by other developers. Since the first public beta version was released in 2007, Community Edition has been developed and customized in order to provide a basic eCommerce platform. The latest version is 1.9.2 which was released on July 7, 2015.